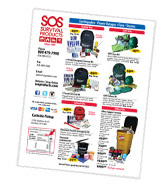 SOS Survival Products, Inc. has been a leader in the emergency preparedness industry, safety and medical supply distribution since 1989. We are an experienced, trusted and reliable source for emergency preparedness supplies servicing school districts, universities, public health agencies, hospitals, branches of local and state governments, and the private sector. We offer extremely competitive pricing, volume discounts, customization, the latest innovative products, and a knowledgeable staff to assist with all preparedness needs. Whether you’re purchasing emergency preparedness supplies for a school, hospital or government agency, you’ll be pleased with our service, selection and pricing. We’re proud to offer high quality emergency supplies at an affordable price so you can get the supplies you need without exceeding your budget. 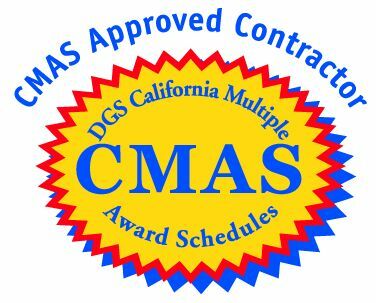 As a local California business, we understand how important certifications and history are to California schools, hospitals and governments. Below are our certifications for Los Angeles, San Francisco and the state of California. Request for proposals or solicitations for bids may be sent to orders@sosproducts.com. You may also contact us directly at 800-479-7998, or fax your request to 818-909-0360. A member of our team will respond to your request within two business days. We accept purchase orders and p-cards from city, government, hospital, university, and school district entities. You may submit the purchase orders via email or fax. All purchase orders are billed with NET 30 terms.